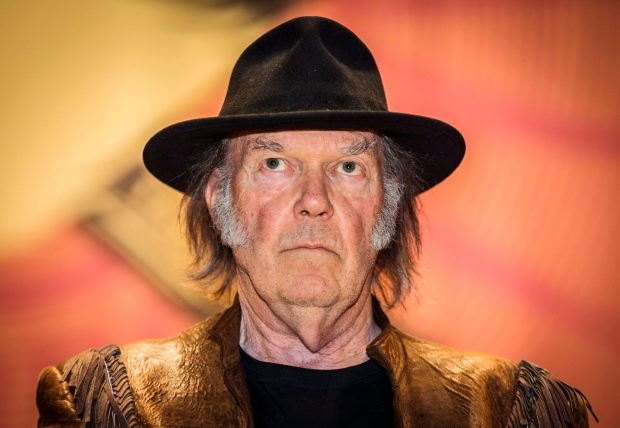 Neil Young’s Honour the Treaties tour has poured gasoline on the already volatile Canadian energy politics. * There are many issues fueling the conflict, but the one I want to address in this blog is whether Canada is starting to act more like a “petro-state.” Thomas Homer-Dixon, writing about the Keystone XL pipeline in the New York Times, argued that “Canada is beginning to exhibit the economic and political characteristics of a petro-state.” Andrew Nikiforuk ramped up the indictment in a Foreign Policy piece entitled “Oh, Canada: How America’s friendly northern neighbor became a rogue, reckless petrostate.” Writing for Maclean’s, Andrew Leach countered that the role of the oil industry in the Canadian economy is not large enough to justify the label. I agree with Leach that the data on the role of oil in the Canadian economy mean that Canada is in a completely different category from the countries typically referred to as petro-states. ** The oil and gas sector make up about 6% of GDP in Canada. According the World Bank, oil rents in Canada make up 3.2% of GDP, ranking Canada 39th in oil dependence. But I also believe that Canada, under the Harper government, has in fact begun to act more and more like a petro-state. Canada is not, as Leach suggests, a “failed petro-state;” it is an overachieving petro-state. In my view, there are four powerful examples of Canadian petro-state behaviour. The most significant example is Canada’s abysmal record on climate policy, and the apparent role of the oil lobby in contributing to the failure to take meaningful action. We used to have a good reputation for leadership in international climate negotiations; now it seems we’re a pariah. Canada has withdrawn from the Kyoto protocol and generally been a negative force in progress towards global agreement. Domestically, Canada has not addressed the growing GHG footprint of its oil sands and is on track to greatly exceed its 2020 targets. It has repeatedly delayed promised regulations for the oil and gas industry, and evidence has emerged that the government has explicitly done so at the request of oil industry lobbyists. Canada has revamped its environmental law framework, at the request of oil industry lobbyists, to smooth the way for the approval of new energy infrastructure like oil sands pipelines. Whether it’s the aggressive “won’t take no for an answer” lobbying of the U.S. on Keystone XL pipeline, or the attacks on the EU’s Fuel Quality Directive, much of our foreign policy seems to be about lobbying for the oil sands industry. Another element of the petro-state idea if that the government gets blinded by oil wealth and doesn’t serve the public interest, or even its own economic interests – what Terry Lynn Karl refers to as “petromania.” There are indications of this syndrome in Canada as well. I believe if Canada were more strategic in implementing an effective framework for environmental governance of the oil sector, it could still have a vibrant energy industry and dramatically improve its environmental record and international image. The argument that Canada (or Alberta, in this case) was not acting strategically with respect to oil sands governance was made by none other than the late Alberta Premier, Peter Lougheed, as far back at 2006 (see also here). Why is Canada acting more like a petro-state that its economic dependence on oil suggests it should? The current structure of the Canadian political system gives the oil industry more clout than its share of GDP would suggest. First, Canada has a very decentralized federation where energy resources are controlled, for the most part, by provincial governments. In Alberta, where the oil sands are, the economic role of the oil sector is much greater, so it comes closer to looking like a petro-state economically. The energy sector makes up 28% of Alberta’s GDP. Energy resource revenues as a percent of Alberta government revenues have ranged from 19% to 40% over the past 10 years, with an average of 29%. Because Canada is so decentralized, Canadian energy policy with respect to the oil sands is mostly Alberta energy policy, and the province’s economic dependence on oil comes closer to a petro-state than the overall Canadian figures would suggest. Second, Canada’s Prime Minister, Stephen Harper, is from Alberta, and he’s a conservative with a strong ideological affinity with the oil industry. His political views are far to the right of the median voter in Canada, but our party system makes that possible and, in recent years, easy. There are multiple parties on the centre and left, so Harper’s party, which makes up the right end of the spectrum, can dominate federal politics with a parliamentary majority even though it received less than 40% of the popular vote. As a result, the federal government under Stephen Harper has been highly responsive to the interests of the oil industry. Canada, whose economic structure should not promote petro-state behaviour, has a political structure that has produced an overachieving petro-state. * In the interests of disclosure, in addition to being a UBC Professor I also am involved in a small climate action group that has taken positions against oil sands pipelines through BC. I also have more Neil Young songs in my Itunes than any other artist, including the Tragically Hip. 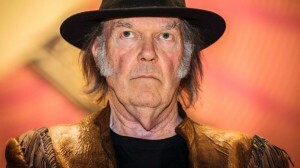 It is my personal view that Neil Young has probably written more great songs than any artist of my time. It is also my view that he has written some of the worst (e.g., Cripple Creek Ferry). ** The leading academic work on petro-states is Terry Lynn Karl, The Paradox of Plenty (1997). For a more recent treatment, see Michael Ross, The Oil Curse (2012). This entry was posted in Climate Action Policy, Oil Sands. Bookmark the permalink. Apparently another “earmark” of petro-states is their pre-occupation with security. The nature of the industry requires the infrastructure to get it out of the ground and to move it, but more importantly, the security to make sure it gets out of the country. I couldn’t help but think of this when it was revealed last month that CSIS was collecting information on environmentalists and sharing them with police and companies.